A new Canadian opera, Pyramus and Thisbe by Barbara Monk Feldman, receives its world premiere today (appearing along with Monteverdi's Lamento d’Arianna and Il combattimento di Tancredi e Clorinda). This modern triple bill not only features a striking new opera, but manages to cover almost the entire span of operatic history throughout its three parts. Director Christopher Alden expands on some of the historical and thematic ties between these pieces in his program notes. During the past 400 or so years since it was first “invented” in Renaissance Italy, the operatic art form has always had an intriguingly schizophrenic nature. On one hand, it has always depended for its survival on the support of the rich and powerful patrons for whom a night at the opera is just as much a social as it is an esthetic experience. But on the other hand, with its magically alchemical mingling of words and music, opera has managed to penetrate into dark, mysterious and even painful realms of human experience, soothing its audience with sweet sounds while it tells its subversive stories. 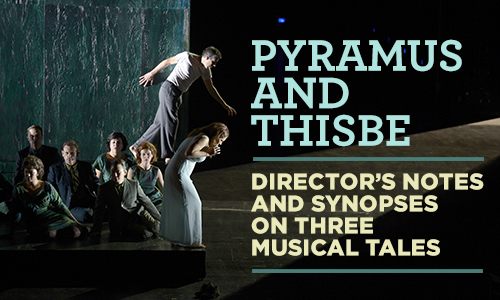 This fall we’re excited to present the world premiere of Canadian composer Barbara Monk Feldman’s Pyramus and Thisbe in a brand new Canadian Opera Company production. 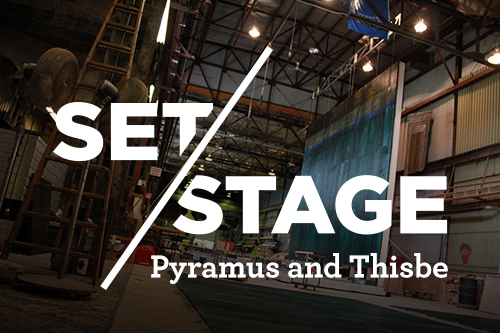 We took a field trip up to the COC Scene Shop to give you an exclusive first look as the sets are being constructed in anticipation of opening night on October 20, 2015! 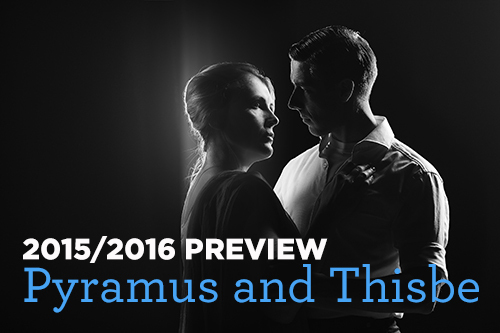 One of the most anticipated shows of our 2015/2016 season is our new production of Pyramus and Thisbe (2010), written by Canadian composer Barbara Monk Feldman. This triple-bill opera combines both a the new work by Barbara Monk Feldman with Claudio Monteverdi's Baroque classics Il Combattimento di Tancredi e Clorinda and Lamento D'Arianna to give new life the classic tale of star-crossed lovers. Check out the video below for an exclusive peek into what's to come.